The perfect line of spas would not be complete without a fully loaded, high powered 2 - 3 person hot tub. The Lanai 530L is the perfect spa for those who would like to enjoy all of the features and therapy of a larger spa, but just don't have the space. This unique shell design offers a full length lounger on one side and two additional seats on the other. Each seat can be controlled by adjusting the air controls and a water diverter allows you to dial in just the right amount of jet pressure. The standard features in this compact spa are second to none. 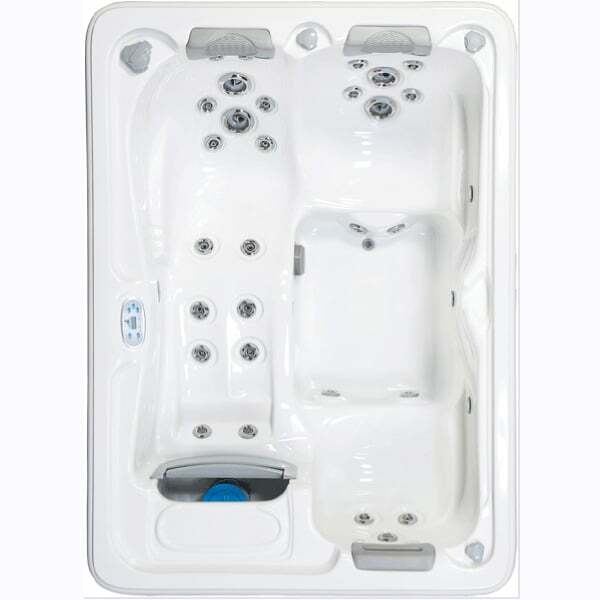 From the LED lights and stainless steel jets, to the double layered insulation and ozonator, it's hard to find a spa with this many features at such a great value. It is engineered to the highest quality standards and has striking curb appeal, making it the perfect spa for a first time buyer or a seasoned hot tub pro looking to upgrade.